Wildlife officials at South Africa's Hluhluwe-Imfolozi Game Reserve are investigating the deaths of 12 wild dogs at the park. It's thought that canine distemper virus (CDV) is to blame, but officials are awaiting blood test results to confirm the worrisome diagnosis. These unique canids, also known as painted dogs, don't get much time in the media spotlight, but they're actually South Africa's most endangered carnivores. Hluhluwe holds the second-largest wild dog population in the country (after the Kruger National Park), and the deaths earlier this month are a setback for conservation efforts: just 57 individuals now remain here. "Hluhluwe-iMfolozi has, over the years, acted as a feeder population to numerous other national parks and private game reserves around South Africa," Ezemvelo KZN Wildlife and the Endangered Wildlife Trust (EWT) said in a joint statement. "The loss of this pack is a large blow." The discovery was made during a routine check-in with the pack's beta female, who had been fitted with a GPS collar to help park officials monitor how the dogs use their range. When the collar's data showed she hadn't moved in several days, officials knew something had gone wrong. "Given the highly active nature of wild dogs, which tend to hunt twice a day, the alarm was raised," they said. "Officials discovered a number of dead wild dogs, while others were lethargic and showing signs of illness, including neurological problems and laboured breathing." The surviving dogs were closely monitored over the next few days, but despite the team's best efforts, none of them recovered. "This follows on from cases of canine distemper virus being confirmed in wild dogs from Khamab Kalahari Reserve in 2013 and more recently in Kruger National Park and Tswalu Kalahari Reserve in 2016," notes the team. "Canine distemper virus has been shown to infect numerous species worldwide and is not confined to carnivores." Its prevalence, at least, means that this viral disease is being fought on multiple fronts. CDV affects many different species, including bears, ferrets, big cats and others, and that means scientists across borders and disciplines are focused on treating it. Work in the Channel Islands, an archipelago off the coast of Southern California, for example, has helped us to learn more about CDV's spread and management. The disease wiped out most of the fox population on the archipelago's Santa Catalina Island in 1999, but recent reports have been celebrating their rebound thanks to close monitoring and a preventative vaccination programme. In fact, the Channel Island foxes were just recently removed from the US Endangered Species List. It's going to be a long road, but the Ezemvelo and EWT teams are hopeful that – with careful work and planning – South Africa's remaining wild dogs can stage a similar recovery. "We've developed a plan of action to prevent similar losses occurring in the future," they said. "This includes, as a priority, vaccinating all individuals of two key packs in the park. These individuals will be re-vaccinated in a year’s time to determine the longevity of the vaccine in wild dogs." Case studies recorded in the region will help scientists gather data that could help other wild dog packs. The team will be analysing blood samples taken in over the past ten years to look for any natural disease immunities within specific populations. "The health and progress of all wild dogs in the park will continue to be monitored closely over the next 12 months, as was indeed always the case," said Ezemvelo. "This action plan follows a very similar approach to that of Kruger National Park in order to align results and knowledge gained into a national understanding for the future conservation and protection of wild dogs against infectious diseases." 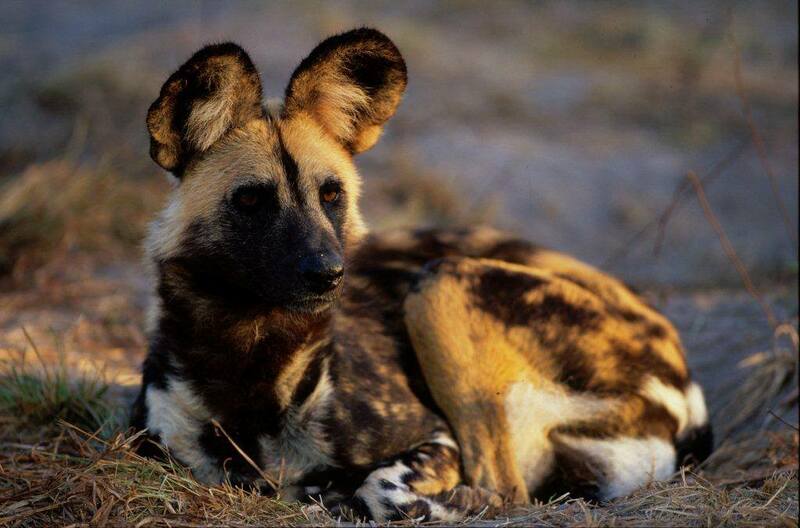 To support wild dog conservation, you can make a donation here.